Truly, it is a blessing to see 1 INTERNATIONAL chose to follow God's plan and realize his gift was to exercise his many talents and bless the world with them! MILWAUKEE - Nov. 9, 2017 - PRLog -- On his way and proudly representing Columbus, Ohio is featured Christian Contemporary artist, Raymond Marcus Standifer, aka "1 INTERNATIONAL", eagerly introduces his talents and new music to the world with new single "L.I.K.E.S. (Lusting. Internally, Knowing, Everything, Sins) which is being released tomorrow on i-Tunes, Amazon and all other major digital outlets! 1 International is telling a story through his music about how God has blessed him and how he will bless you when you come out of the world's way of doing things and focus on being like God and loving Him while doing his will! 1 INTERNATIONAL believes "God wants us to be like him, he wants us to have nice things so people can see how good God really is"! He is on a mission and RIDING FOR GOD ALL THE WAY! 1 INTERNATIONAL grew up in a world without a father, a mother who also passed away and all he had left was the streets. He also watched his own father's murder at a young age. Living from house to house and state to state, all he had was his name and a passion for music. Feeling lost and without God, he joined a Gang, pimped women, started selling drugs and did not believe in Jesus. One day he told himself that if Jesus was real, he would need to show him that there was a better lifestyle so he began to become more serious about his music. 1 INTERNATIONAL's brother introduced him to a man of God that helped him with struggles of everyday life. This man of God ministered to 1 INTERNATIONAL, and led him to the Lord. The Holy Ghost filled him, and he felt the power and fire of God in his belly! Since then, 1 INTERNATIONAL has had to pleasure to have worked with songwriter Damien aka D-love of Diamond Kut Entertainment, Inc. (Producer of LL COOL J, 2PAC) and other various artists. He also recorded and produced a new theme song for "The Ohio State Buckeyes" called the "BUCKSLIDE" which turned out to be a hit! 1 INTERNATIONAL has had several major hit records and had multiple hit songs featured on 107.5 radio station in Columbus, Ohio, including "High School Anthem" and "Dickies". He also released a hit song called "80's Back" for a soundtrack in a movie called "Tune Up". 1 INTERNATIONAL later met with his old friend (Red) and formed the Hit group "One and Red". The duo released their first album "Gotta Get It", which caught the ear of Grammy Award Winning Producer and author Mr. Cirocco Jones, who then published his name in one of the top music industry book sellers: "The Music Powers That Be" To Succeed In The Music Industry. 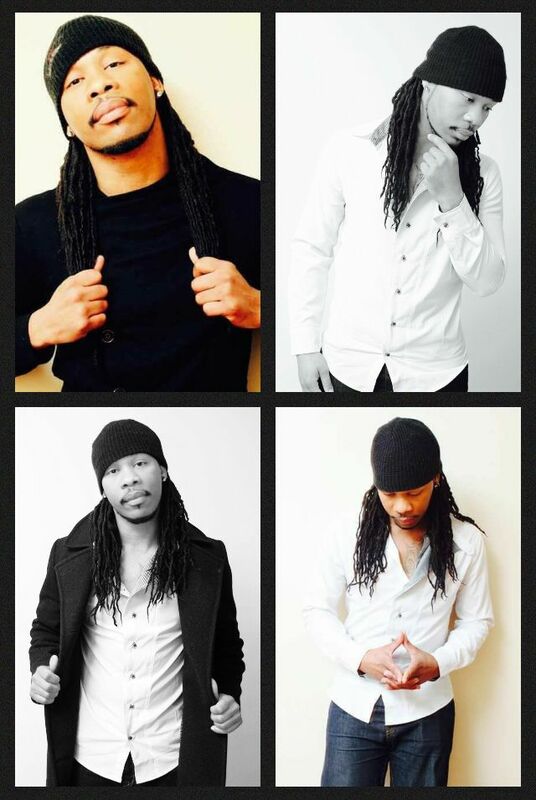 1 INTERNATIONAL is creative, has a charismatic spirit, positive attitude, versatility, and a unique style of music that can touch people of all ages, races, and creeds! He has been featured as a special guest on TBN, worked with Rod Parsley and opened up for several global recording artists including "Tech n9ne", & "Ray Cash". He also wrote the theme music for "All City Blazing Night Show" for Power 107.5 FM Radio Station located in Columbus, Ohio, which reaches out to the people. Recently 1 International signed with D.A.M.G. ENT. LLC, / Universal / who is also taking on the challenge, by siging their first Gospel / Christian Contemporary Hip Hop artist, is very committed to executing a solid artistic and business plan in hopes of helping 1 International inspire and encourage everyone across the planet Earth to trust in God, as a recording artist and as Raymond Marcus Standifer, the young minister as he testifies how God will open up all the doors your heart desires and take you places that you could ever dream of! Truly it is indeed a blessing to see that 1 INTERNATIONAL didn't give up and chose to follow God's plan and finally realized his true gift was to exercise his many talents, be a positive influence and bridge people together of all ages, races, creeds, cultures one prayer and day at a time! Reach out to him on Instagram @oneinternationals - Facebook.com/marrkone http://www.damgent.com/Artists.html artist roster page for bookings interviews etc. JayVyn Set To Release Another Smash Single! BandUp "Clutch" Flexing On 'Em! "JayVyn The Hottest New R&B Sensation"